Parking is available in our attached garage, located on the south end of Kellogg Hotel & Conference Center on Harrison Rd. We offer validation for parking in our structure daily, with the exception of special sporting events. Please call us with any questions. We have three different private rooms, offering options for meetings & special occasions with seating for up to 30 guests. We specialize in creating unique dining experiences with personalized menus. Please speak with a Dining Room Manager to assist you in the perfect space. 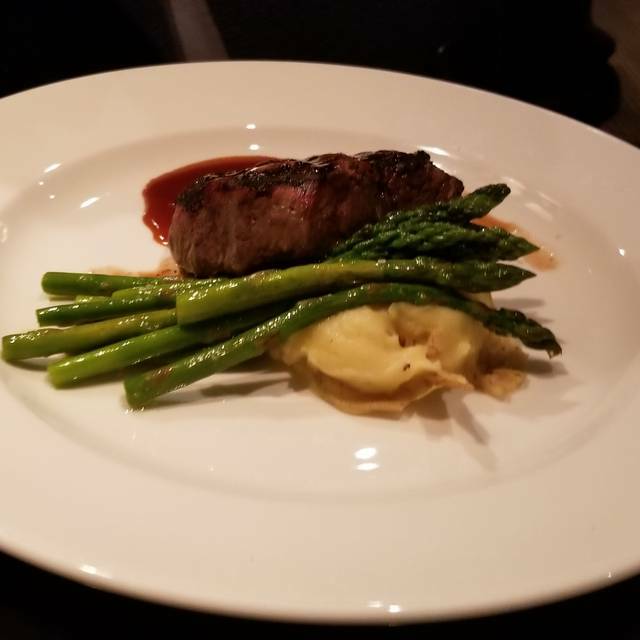 One of the premier restaurants in Greater Lansing featuring casual-upscale fare, 500 bottle wine list, Michigan craft brews & a sophisticated Lounge. 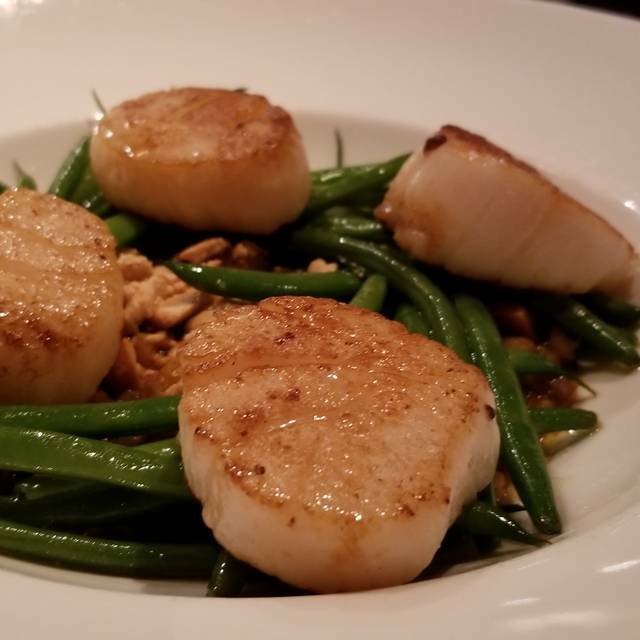 Our menus are changed seasonally to reflect the best local ingredients available, and our extensive wine list has earned the State Room Wine Spectator's "Best of Award of Excellence" award several years in a row. 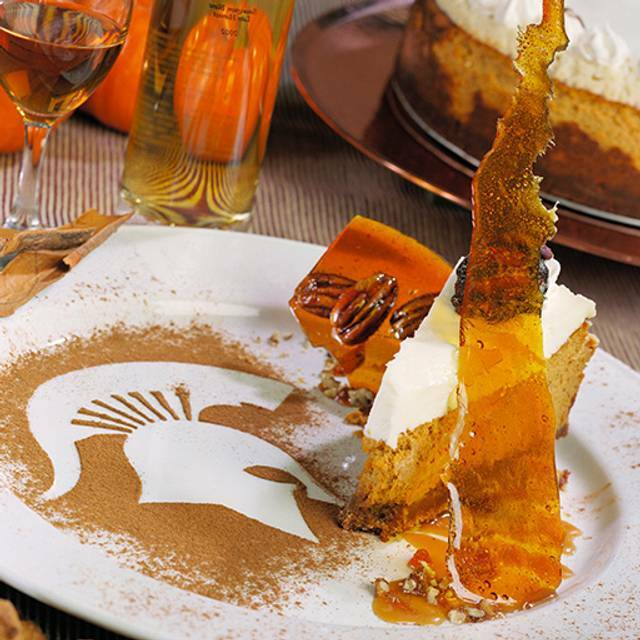 Let the chefs tempt you with expertly-prepared culinary delights perfect for everyday dining or any special occasion. We also have several private dining rooms available perfect for your next meeting or social gathering. The menu on their website for Sunday lunch is extremely misleading. They don’t tell you that your only option is their brunch buffet. The food was awful. The lowest end of buffet food. And, it was cold. Avoid. We had lunch in the State Room before the Spring Football Game. As usual, there was a unique selection of menu items to choose from. Food selections were delivered with well-paced timing and at the proper temperature for each food type. The ingredients were fresh and flavors were wonderful. Our server was knowledgeable and friendly. I find this to be the norm for the State Room, which is why I enjoy dining there whenever the chance presents itself. This is the perfect place to meet friends and family for a leisurely meal in a fairly quiet setting. I suggest that you make a reservation to be sure to get a table. The restaurant has not been crowded on my several recent visits. Just the day before, I chatted with relatives over a three hour lunch. The dining room is attractively decorated, with street views of campus. You can get validated parking in the ramp which is attached by an overhead walkway at the second floor. Therefore you can avoid snow, ice and rain on your way to the restaurant. 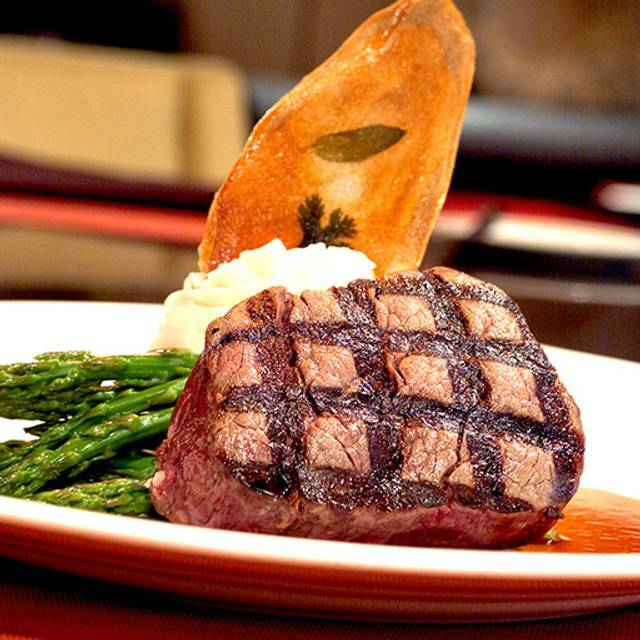 The menu prices are comparable to other area upscale restaurants, and the food is consistently good. Great service and wonderful food only reason it wasn’t even better was the hostess sat right next to another cramped table even though the restaurant was very empty. Thank you for your feedback. My sincere apologies, that sounds very frustrating. I appreciate you taking the time to share with us. I will use your feedback to help our hosting team understand the importance of spacing in the dining room so guests can feel relaxed and enjoy their experience with us. Pleased that your meals and service otherwise were to your liking. Hope to see you again soon. Wonderful dining experience - everything was delicious and so convenient right on campus. We celebrated our student son’s birthday. The staff couldn’t have been more accommodating and the free birthday dinner was a pleasant surprise! Thank you so much for your kind review! Pleased you could celebrate your son's birthday with us. Thank you again and hope to see you during your next visit to campus. We dined with friends. We had a great server. We brought our own wine and the corkage fee was $25, a little higher that other places but still worth it to have a nice bottle from our collection. The food was overall great. Thank you for your kind remarks. So pleased you enjoyed your experience with us. Look forward to having you with us again soon! Great seasonal food at reasonable prices. Would be best to make reservations and only go when you have time to spare. Thank you fro your feedback. Glad you enjoy our rotating menu and our chef's efforts to keep things fresh and with the seasons. Yes, we do recommend reservations as we can fill up quite quickly. Thanks again and hope to see you soon. Flat out best filet mignon out there. The asparagus were also excellent. Definitely a place to go when visiting Michigan State. That is such incredible praise! We will be sure to share with our culinary team. Thank you for your kind words and continued patronage. Look forward to seeing you on your next visit to campus. As always, had a great meal. The bread pudding with vanilla sauce is to die for! Thank you for joining us at our Sunday brunch Kathy. We are big fans of chef's bread pudding too! Thank you for the great review. Look froward to seeing you again soon! The State Room is an awesome place for casual fine dining. I would recommend them to anyone. Thank you for your support and patronage Jim! We appreciate your kind words. Look forward to your next visit with us. We enjoyed celebrating a family birthday (as we usually do) there. The portion size for a 17 year old guy was a little small. Having eaten everything on his plate and dessert, he finished off the bread at the table before we all left. Thank you for the feedback Colleen and thank you for making us your go to family celebration destination. We try to offer portions that are in keeping with our guests needs. If you speak with your server, they are happy to recommend items that will keep even your teenager full and satisfied! Look forward to seeing you again soon. I went for my birthday with my husband. We were greeted at the door and were given the table of our choice. The ambience is beautiful and the staff is extremely polite. The food was delicious and the drinks were great. Wow, thank you for the great review! We appreciate your support and pleased you enjoyed your celebration dinner with us. Hope to see you again soon. They consistently have the highest quality dishes imaginatively prepared and presented. 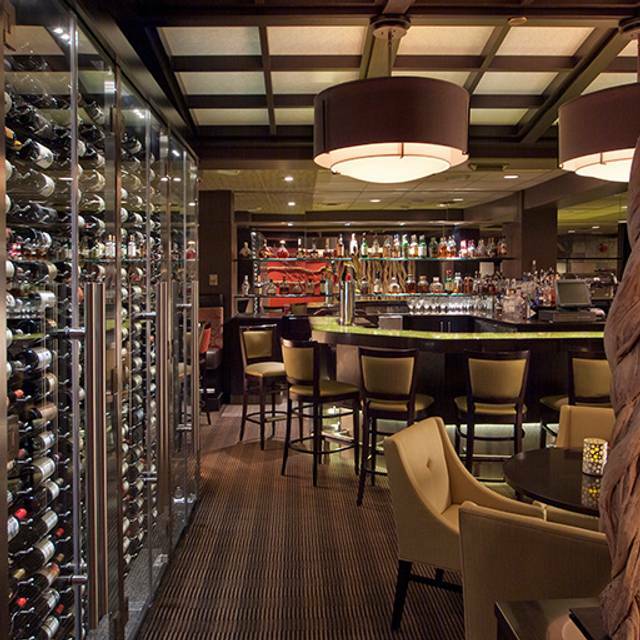 The wine list is second to none in mid-Michigan. Thank you to Marianne for drawing on her vast experience for recommending the perfect wine to accompany our entrees. The live music did not overwhelm the space at all. It was a wonderful treat and we will definitely be back! We are so glad you enjoyed Live Music Night at the State Room! It was my pleasure to select the perfect wine pairing for your entrees and I look forward to seeing you again soon. Thank you for leaving a review. Excellent service. The manager really knows how to keep diners comfortable and satisfied. Menu is varied and quality of food is excellent. Love the music provided by Geoff Lewis!! Thank you for leaving a review, Elaine. We are thrilled that you enjoyed Live Music Night at the State Room. We truly enjoy creating memorable dining experiences for our guests. We hope to see you soon! It was a great experience. We were on our way to a hockey game and we decided to eat at the State Room. The table was great and the waitress Cameron was exceptional. Thanks for joining us before the game! So glad you enjoyed your server Cameron. We will be sure to recognize her for her outstanding service. Look forward to seeing you again soon! The food has taken a major turn toward the better at the State Room. Each dish my companion and I ordered was well executed, with each flavor and/or ingredient in its proper place. My lamb shank was perfectly cooked, it was nice to have it deboned, and the sauce made for a perfect accompaniment. Service was friendly and competent. After several years mired in mediocrity, it is nice to have this nicely located restaurant in such good shape. Thank you for your kind words. Pleased you enjoyed your meals. We strive for the very best in dining experiences and pride ourselves on an ever changing menu delivered with outstanding service. Thank you for your continued support and patronage. We look forward to seeing you again soon. Love the food ,atmosphere and service. Especially convenient before basketball games and on football game weekends. Thank you for the great review! We appreciate your support and patronage. Look forward to seeing you again soon. Go Green! Always a great dinner at The State Room before an MSU basketball game. The food was delicious, atmosphere was awesome and service great. Thank you so much for your kind words. Go green! Thank you for your feedback. Appreciate your honest comments and will share with our team. So pleased you enjoyed your experience with us. Look forward to seeing you again soon. Went to this establishment based on the countless times I opened up Open Table and it was recommended. the ambiance was nice but the service was very slow and the waitress even forgot to put in our appetizers. We waited about 10 minutes before we were greeted by the waitress. Although the guy with the water was very observant and kept our water glasses filled. We ordered the burger and it reminded me of a patty that you can get from Costco or Sam's. The burger came with no sauces i.e, ketchup, mustard etc. We had to inquire from another waitress about getting a condiment because ours had disappeared once again. We will never be going back to this restaurant. I guess it is a good option for those staying in the Hotel but not for a local. Thank you for your feedback. I am so sorry that your experience did not at all meet your expectations. We pride ourselves on outstanding food and service. I appreciate you taking the time to let us know our mistakes so that we can work as a team to correct these errors. If you would like to email me directly at baconma2@msu.edu I would be grateful for the chance to hear more about how we can improve. Thank you again, Marianne Bacon, State Room Operations Manager. All of our entrees were outstanding, as we our desserts. The only draw back was that it was fairly loud when we arrived which made conversation more difficult. It quieted over the course of our dinner and we were highly impressed with the service. Thank you for your kind review we will be sure to acknowledge your server for his outstanding work. So pleased you enjoyed your meals and hope to see you again soon! Very nice atmosphere and service. The food is on the expensive side but it’s probably fitting as it’s not your average dishes- the food is gourmet. Very tasty and good presentation. The wine flight was great. Thank you for your kind words. So pleased you enjoyed your meal with us and the creative offerings from our chefs. We appreciate you choosing us for your special night out. Hope to see you again soon! Not impressed with the overall limited Valentines Day menu items. Food tasted fine. Very expensive. Placed in a room that felt like it was a make shift add on room, away from main dining. Ruined the intimacy of the dinner. Thank you for your feedback. I am sorry that your Valentine's experience with us was a disappointment. It is never our intent to make our guests feel unwelcome. We try our best to cultivate unique and thoughtful dining experiences for our guests. If you would like to email me directly at baconma2@msu.edu I would be grateful for the chance to hear more about how we can improve. Thank you again, Marianne Bacon, State Room Operations Manager. The pork belly was two tiny pieces of pork and a ton of potatoes, the waitress could not have cared less when we asked about it. The food was decent, but I’ve definitely had better. Thank you for your feedback. I am sorry that your experience with us was not as expected. My apologies for the service and the way you were treated. Please let me know if you would like to discuss with me directly at 517-884-8135 or baconma2@msu.edu, Thank you. Marianne Bacon, State Room Operations Manager. Visited the State Room for hubby’s birthday. Had a drink at the cool bar first. Bartender was friendly and helpful. In the main dining area, the ambience was quite nice and much improved since the renovation a few years ago. Hubby had the filet - said it was one of the best he’s ever had. I had the Bistro Salad and added grilled salmon. It was delicious. The creamy parsnip soup was also devine. Server was great. Would highly recommend! Wow thank you for the great review! We appreciate you taking the time to share your comments with us and are thrilled you enjoyed your night out with us. We will be sure to pass your feedback on to our team as they work so hard to create great experiences for our guests. Thank you again and we will look forward to your next visit! We had a great time and excellent service. My BF ordered the lamb - amazing!! I ordered the seared ono and it was delicious. Our server was fantastic as well!! Thank you so much for your kind words! So pleased you enjoyed your experience with us. The seared Ono is a unique and flavorful dish, new to our menu, appreciate your positive feedback. Hope to see you again soon! Sara was wonderful. She knew the menu and made great suggestions. We always enjoy the service at the State Room. They have a good depth of wine to select from, you can tell they place a positive emphasis on the experience of the consumer. Our out of town guests loved it and the wine wall. Nice vegan menu too for our out of town guests. Thank you so much for your kind words! We pride ourselves on exceeding guest expectations and are so pleased you chose to bring your visitors to dine with us. Thank you for your support and we look forward to seeing you again soon. My dining partner's pasta was undercooked (she is Italian). The wait staff let her order something else but of course this affected the entire timing of our meal together. Unfortunate. Nice brunch and comfortable ambiance. We enjoyed our meal. After a misunderstanding about our reservation, Maryann went above and beyond to make sure our dining experience was exceptional. We appreciated the extra effort she and her staff made so we could have a memorable meal with our visiting family. Thank you for your kind words! So pleased you enjoyed your meal and that we could help make your holiday gathering special. If we can ever help with special requests please don't hesitate to call and speak with a member of our management team at 517-884-8101. Service left something to be desired but experience was pleasent overall. Thank you for your feedback. I apologize that your service was not up to par. It is our goal to provide every guest with outstanding service. I am so sorry that we did not meet that expectation with this visit. If you would like to talk with me more regarding your experience please feel free to email me directly at baconma2@rhs.msu.edu or call at 517-884-8135. Thank you, Marianne Bacon, Operations Manager. A little pricey...not for everyday dinning. So pleased you enjoyed your meal with us. We run specials nightly so hopefully we see you again soon! Food and service were both great. The ambience needs work. The site is tired. Thank you for your feedback. We appreciate your comments. Although we try and update our restaurant routinely, I am sorry it was not to your liking. Is there anything you would like to see in our decor so that we can improve? So pleased you enjoyed your meal and service with us. Thank you for your continued patronage and feedback. I waited for at least 10 minutes for horseradish sauce for my prime rib. I highly recommend that you provide horseradish without the creamy sauce. Thank you for the suggestion. We will be sure to share with our chefs so that we can improve your next experience. Thank you for your continued patronage and feedback. Comfortable, classy, interesting menu. Expected it would be decorated for Christmas...it didn’t seem to be much ... but still nice. Appreciate no TVs on. Thank you for your review! So pleased you enjoyed our menu and your experience. We try to offer touches of seasonal decor without being to overwhelming. Glad you enjoyed the atmosphere! We will only ever have the one TV on in our bar area and pride ourselves on offering a dining room that allows our guests the comfort and ease of conversation. Thanks again and hope to see you soon! This was NOT my usual experience at the State Rood. My grand-daughter and I were celebrating her completing her Master's degree. We both ordered the Tandoori chicken. Mine was so dry it was inedible. It also was lukewarm, so I returned it and had the grilled salmon. By the time it arrived my grand-daughter had finished eating. On the other hand, the salmon was the absolute best I've ever tasted! One other problem that day - it was frustrating trying to catch a waiter's attention to complain about my order. They appeared too busy to look to right or left.